With father’s day just around the corner, you might want to consider making the man in your life his very own unique cologne. Nothing says love more than a handmade gift and it will be a healthy alternative to the synthetics found at the perfume counter. It can even become his personal signature aroma! Below is a recipe that’s earthy enough for the manliest man, yet has a freshness that will keep it from becoming too heavy. Even if you create this for a “non-Dad”, he’ll love you for taking the time to create it, and he’ll smell awesome! Directions: Add the water and alcohol to a 4 oz. 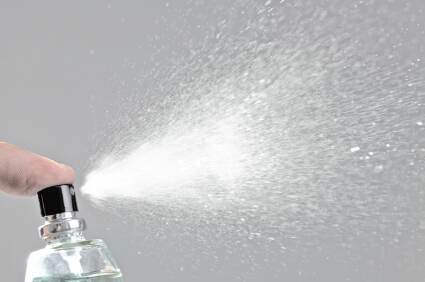 glass spray bottle. Add essential oils and shake, shake, shake! To help the ingredient blend well, shake this mixture a couple of times a day and give the whole thing 2-3 days to blend together. You can substitute any of these oils for ones you know your fella might prefer. The oils will tend to float in the top of the water, so be sure he shakes his bottle well before each use to keep the essential oils evenly distributed. Bergamot (Citrus bergamia) (NOTE: for night-time use only as this can cause phototoxicity which means it will increase chances of sunburn). Safety Note: If your man tends to have sensitive skin, do a patch test by spraying a tiny bit on the inside of his elbow to be sure he doesn’t experience irritation from your gift of love. *Perfumer’s alcohol has several chemicals added to create more stability. It is expensive, but recommended if you plan on selling your blend. Have you ever made an aromatic gift for your Husband, Father, Nephew, Brother, Friend? Leave a comment below and tell us how it went…. Did he like it?